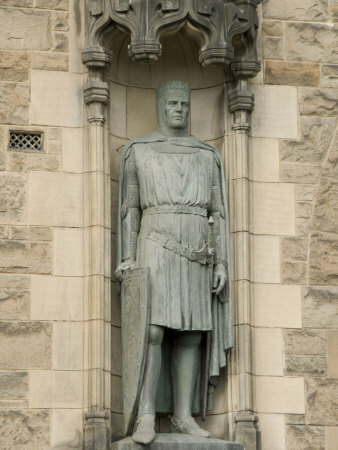 In many ways, Robert Bruce presided over a hopeless cause. In both personal and national terms, he appeared already to have lost. Yet he would go on to be one of Scotland's greatest heroes, leading his country to victory and independence against the odds. The Battle of Bannockburn is probably THE defining moment in the history of Scotland. Yet it nearly didn't happen at all. The Bruce was forced into it against his better judgement, trusting more in stealth and preparation than strength in the field. It was an all or nothing gamble, which Scotland won. 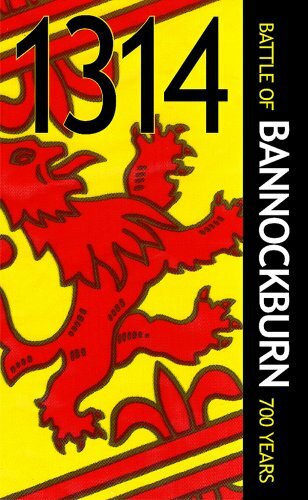 Bannockburn was an important milestone towards the Scottish leader being recognized as its monarch too. Behind every hero there is a human being. This is equally true of those who merely help an old lady cross the road, and those who loom large in history after liberating a nation. Robert the Bruce was a human being. Behind the stone statues and the dry words in history books, there was a man who breathed and lived. An individual with real emotions, in a time where those caused him loss and pain. Few would have blamed him, if he'd simply backed down in the face of English hegemony. On a national level, Robert didn't have a mandate from all the people in his quest for Scottish freedom. There were those - fellow countrymen and women - who did much better under the English. At least three clans of Scotsmen faced him from the other side at Bannockburn. England's Edward I had styled himself the Hammer of the Scots with good reason. The intervening decades had brought Scottish morale to an all time low. There was as much a psychological war to fight, as any on the battlefield. Many ordinary Scots just wanted to give up. Accepting their vassal status in return for peace. Edward I was now dead. But his son Edward II could call upon the same nobles and their armies; aged veterans of his father's campaigns, riding alongside sons eager to match their sires in valor and glory. Robert the Bruce could not command the numbers, nor rely upon the resources, of his battle-hardened overlords in the south. 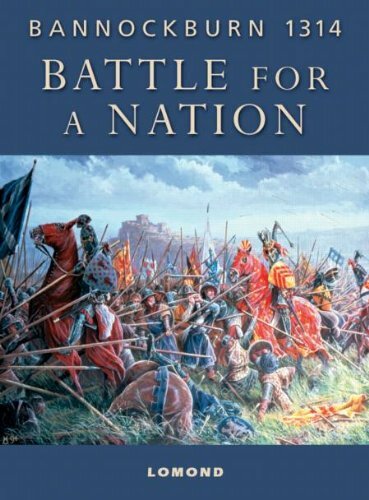 The English would outnumber the Scots, at least three to one (maybe more), on the Battlefield of Bannockburn. Then too was a personal level, whose pressures cannot be understated. Imagine a man, any man, whose wife, daughter and sisters had all been held hostage by the enemy for seven long years. Their lives and continuing good treatment rely upon his submission. Their execution and torture could easily result from his lack of compliance; a punishment for his rebellion. Nor were these idle threats. Three of Robert's brothers had been captured by the English, during earlier bids for Scottish independence. Neil, Thomas and Alexander Bruce had all been hanged, drawn and quartered. It was only a veneer of chivalry which had saved the women. As a husband, father and brother, Robert's instincts must have been to race into England and rescue them all. He had to have day-dreamed of such heroics. But as a statesman, he had a responsibility for his country's freedom. Even if much of the population sneered or feared such attempts. The example of his brothers taught him quite eloquently his own Fate, if he should be captured too. Robert Bruce was a human being, and that was what made him a hero. 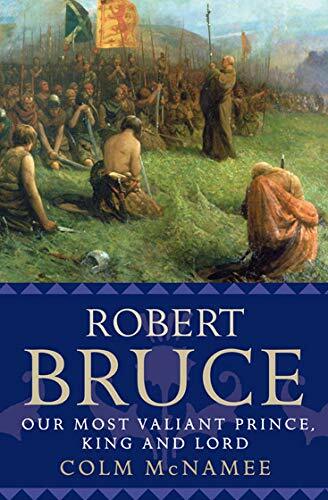 Think of great figures in Scottish history and Robert Bruce automatically comes to mind. Learn more about the legendary man here. On the surface, Bannockburn was fought over control of Stirling Castle. In reality, it was a battle for all of Scotland. Even today, on all those tourism maps and posters, Stirling is hailed as the gateway to the Highlands. The city sits right at the point where the Scottish terrain becomes pinched in the middle, hemmed in by coastlines and lochs. It's said that whoever holds Stirling Castle owns Scotland. Nor is that a hyperbolic claim. You don't need a military mind worthy of Tacitus to note how well the stronghold can defend the passes beneath. A canny strategist, or a decent sitting army, could split Scotland in two from Stirling, dividing and conquering with ease. Stirling Castle was (and presumably still is) notoriously difficult to storm with Medieval warfare. This was the scene of William Wallace's famous victory - depicted quite romantically in the movie Braveheart - and that had been less than two decades before. The narrow approach meant that a small fighting band could hold off a huge army, as the invaders were forced to enter practically in single-file. However, Wallace's campaign had ultimately failed. It was the English who held Stirling Castle now. Robert the Bruce faced precisely the same challenge, which had undone Edward I there in 1297. But unlike the English, Bruce had no intention of storming the castle. He was much too clever for that, opting always for intelligence over brute force. 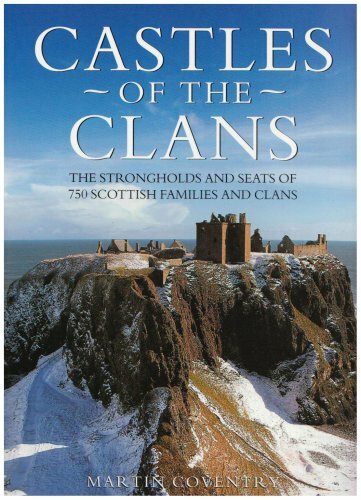 By March 1314, Bruce had captured every other major fortress in Scotland largely by stealth. His men had swam across the moat under cover of darkness to take Perth Castle, silently climbing rope ladders to gain entrance. In Linlithgow, eight Scottish warriors had hidden inside the hay piled onto a wagon. Once inside the castle, they'd emerged fighting and opened the doors to the rest. The greatest prize of all, Edinburgh Castle, had been seized after Bruce's nephew had engaged a local peasant in conversation. He'd learned of a secret passageway hidden in the craggy rock-face upon which the capital's fortress was perched. While Bruce's main force created a diversion at the main gate, thirty men had been led quietly up the track. They had the gates open and the main defenses destroyed, before the English even knew they were there. So now it was the turn of Stirling. Bruce sent his brother, Edward Bruce, to see what could be done. If all else failed, then the Scots would initiate a siege. They would starve out the garrison, until its English commander, Sir Philip Mowbray, surrendered. Then the hierarchy and knights within would be ransomed for Scottish prisoners held in England. Only Robert the Bruce had miscalculated on one key point. His little brother Edward really hated sieges. He much preferred the adrenaline and action of a battlefield to sitting twiddling his thumbs on a hillside for weeks on end. Edward the Bruce found no cunning tactic to take Stirling Castle, so it was all looking dangerously like him initiating a siege. Instead he called Mowbray to parley with him, and a deal was struck. 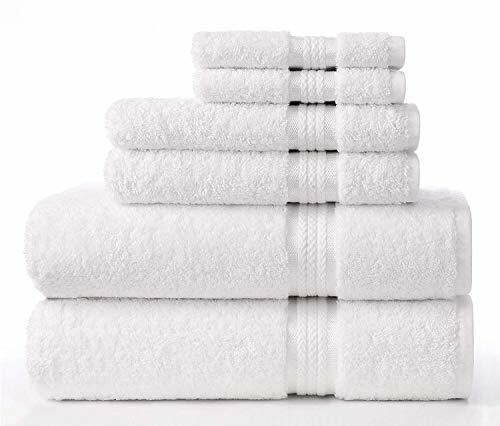 The Scots wouldn't interfere with supplies coming in and out of the garrison. But if, in two months' time, no English force had come to relieve the castle, then Mowbray would surrender it without bloodshed to the Bruce. It seemed fair enough to Mowbray, who swore an oath on his honor that he'd uphold his end of the bargain; while promptly sending a messenger south to Edward II of England. Edward Bruce got to relax without the tedium of watching a castle, but his elder brother was livid. 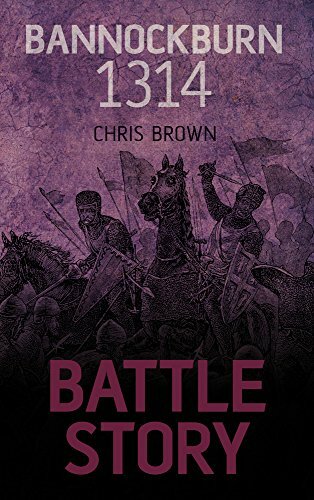 Robert Bruce had reached this far avoiding a pitched battle where possible, now one seemed utterly inevitable. Edward II would answer that call. All the Bruce could do was gather in the scant resources to hand, issue an ultimatum to every Scot sitting on the fence in a bid to boost his troops and pick out a battle site. Stunning to see against the beautiful Scottish scenery, these fortresses also had a job to do. They defended or repressed Scots depending upon their control. This is a post about some of the magnificent castles of Scotland. 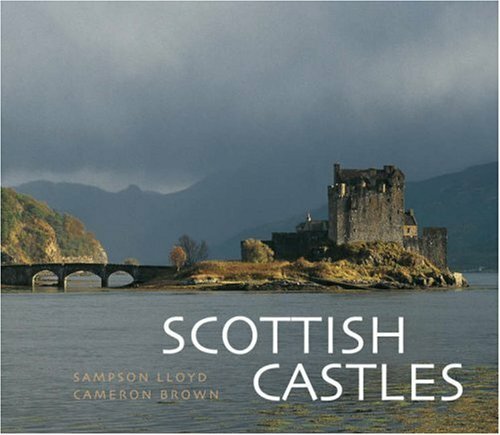 There are more than 3.000 castles in Scotland; here are five of them that stand out. The Scottish had a long tradition of using their landscape to gain an edge in fighting the English. Robert the Bruce was forced to do the same. 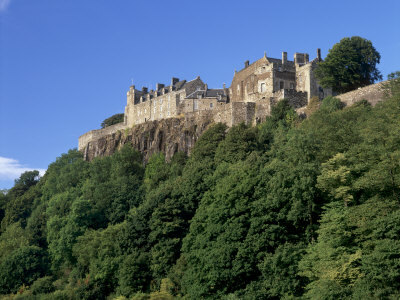 For his battlefield, Robert the Bruce chose a large, semi-boggy stretch of arable land marking the approach to Stirling Castle. Without the benefit of hindsight that we enjoy, he must have looked in dread over the flat plains, hemmed by trees to the West. It was an expanse of wheat and barley fields irrigated by a burn (or stream) called Bannock. It was a terrain which favored cavalry charges, which Edward II could order in abundance. 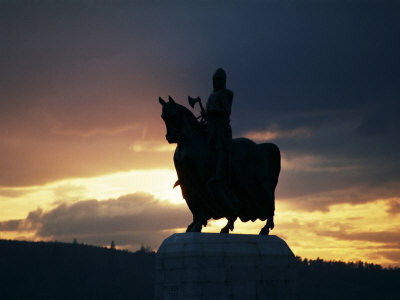 Robert the Bruce could only call upon 500 light horsemen, all provided by a single Scottish nobleman, Sir Robert Keith. It was a landscape which could be exploited by highly disciplined infantry. Marching troops armed with spears and pikes, charging into the melee. Edward II could potentially call upon tens of thousands of them. Robert the Bruce had just 6,000 men on the day, and that after two months of hard persuasion. Even if he could attract the Highlanders to his banner, this was no battleground for them. They preferred the mountains, which was much more conducive to their fearsome highland charge. This was a battle site for Lowland militia. Bruce just didn't have the numbers. It's quite telling that his first concern, when placing his army of Scottish freedom fighters, was concealing their movements and facilitating their retreat. 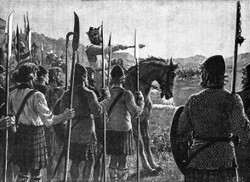 Robert the Bruce positioned his own people amongst the ancient woodland, creating a camp in Tor Wood from as early as May 1314 to ensure he held onto that ground. The trees provided cover to frustrate English scouts, as well as a sheltered escape route should the battle not go their way. Bruce had no reason to believe that it would. Bannockburn had all the hallmarks of a disaster for the Scots, until they actually fought it. Having carefully positioned his own people, Bruce then turned his attention to what advantages could be wrought from controlling the movements of the English side. He correctly guessed that Edward II's forces would arrive via the Roman road, which had been built by much earlier erstwhile invaders. Those looking for terrible omens might note that the road left behind by the Roman legions cut straight through Bannockburn. But they may also take heart in the fact that Rome had not been able to rule Scotland. Hadrian's Wall was testimony to that. Yet that road remained the most direct route from the south to Stirling, sturdy enough still to transport an army. Edward did take it. Robert Bruce's surveillance also noted that the burn wasn't the only water source around. Small tributaries fed into it, which the large English army would wish to avoid for fear of quite literally coming bogged down. Bruce ordered ranks of pits to be dug, each three feet deep and lined with brush. They would work in the same way as a modern day minefield, hobbling horses and disrupting infantry which were foolish enough to traverse over them. Those 'pots' were used in two ways. The first defensively, protecting the Scottish flank, and the second to force the English to march onto the 'carse' - the boggiest part of the field around Bannockburn. The Scots might be out-numbered and without an arsenal fit to take on such an army, but they could now only be attacked from one direction, and that way saw a battle site effectively booby-trapped in the Scottish favor. It's one of the most famous clashes in Scottish history. Discover the details about it in these military history books. thanx for an amazing post!!!! good Mobdro Apk file on your Windows PC making use of Bluestacks. So if you like to see films and tv collection making use of Mobdro application on your Windows pc, adhere to	great. good As soon as you see the login page, you'll see a number of alternatives to choose from. You can create a new account utilizing your email address and also a password nice. I didn't know that he'd made it down as far as Preston. Thanks for that. It wasn't just England. The Bruces also headed into Northern Ireland with a view to consolidating land, wealth and alliances. Given half a chance, I think King Robert could have been very imperial indeed. He's undoubtedly a hero in terms of prising Scotland from the clutches of the English, but I remain very suspect about his motives thereon. 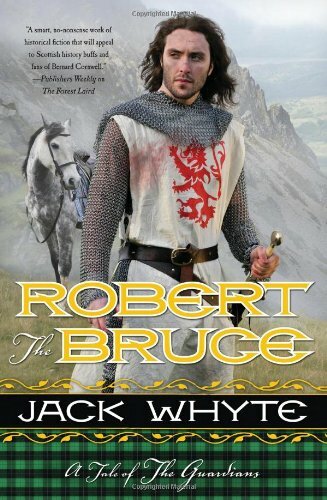 It seems to me that it was always much more about Robert the Bruce than it was about Scotland. Robert the Bruce did enter Northern England, but not to conquer, as he had the good sense not to go too far south, where he would have been overstretched. He plundered in the North East. In Lancashire, North West, he reached as a far as Preston [central Lancashire] where he demanded the town treasury as compensation. When it was given he left the town unscathed. This seems to have been the case with Bruce. He was not cruel to English, but as his ravaging of a Scottish earldom that had refused to support him shows, he reserved his wrath for traitors. I should imagine that every child in Scotland will have heard about Bannockburn, whether through school, stories told by their parents or constant reference in the newspapers. Whether it's the proper history, or a very sketchy 'Yay! We Won!' rhetoric, is a different matter entirely. Ah, okay I made the correlation but I was wondering if they were even similar beyond that. So is this a war history most people from Scotland will be very familiar with? I know the Revolutionary war is taught like every single year of school throughout grade school and again in American History in high school. Teresa - As you know yourself, you'd do anything to save your family. But sometimes there has to be a streak of pragmatism in the equation too. If Robert had charged into England after them, he'd have been overwhelmed, arrested, then hanged, drawn and quartered. He knew that for a fact, as it had happened to his brothers. Who would have saved them if he was dead? 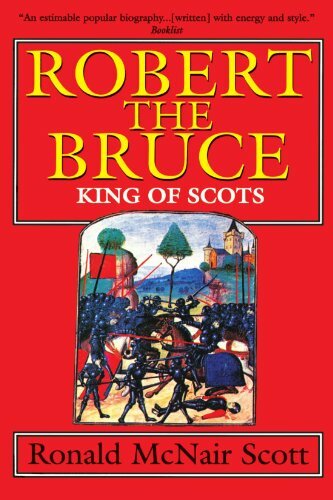 So much of the story of the latter part of the Scottish War of Independence (and particularly Bannockburn) is Robert the Bruce being swept along by circumstances. He lit a fire which he couldn't put out. Was he a hero? Possibly, because history made him so. Was he brave? Yes, I think so. Because he saw what was there, panicked about it, and did it anyway.